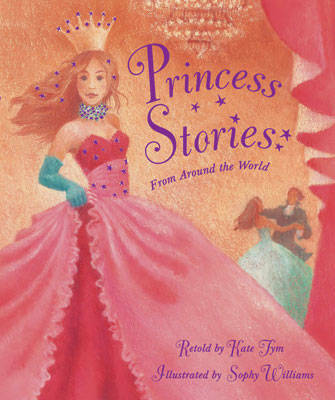 This book offers a wonderful collection of princess stories with a difference. There's a princess here to appeal to everyone, from the bold princess with her wits about her who rescues a bewitched prince from the fairy folk, to the mysterious daughter of the Dragon King under the Sea waiting for her long-lost love. Kate Tym has achieved a chatty, humorous style which will appeal to adult and child alike and Sophy Williams' beautiful illustrations fill the stories with magic and enchantment.